Water-wise Gardening – Where are we? 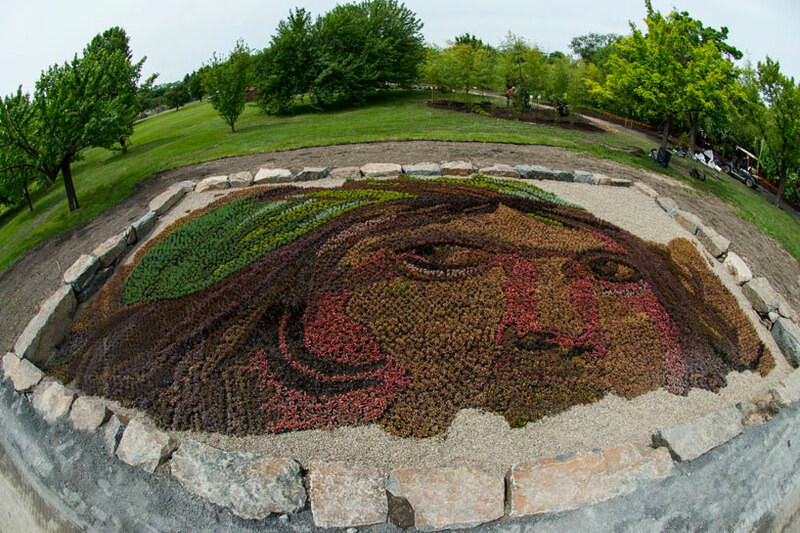 As a landscaper, I feel we pay lip-service to water conservation in the landscape industry. Despite the liberal use of the word ‘water-wise’ on plant labels at nurseries, and during design presentations, the fact is that many gardens and landscapes are watered at least twice a week, and often three times. While some indigenous and water-wise species are indeed adapted to drought, the way that we water (too frequently, not deeply) prevents them from developing strong, deep root systems. Instead of ‘making rain’ with our irrigation systems – giving a long deep watering – we wet the leaves, mist the atmosphere and moisten the top few centimeters of soil – only to have most of it evaporate soon after. Crazy, isn’t it? When one considers that most gardeners are using treated potable water on their gardens, it becomes even more incomprehensible. Imagine emptying 500 bottles of mineral water in one area of your garden – this is the typical water-use of ONE station of shrub sprayers. 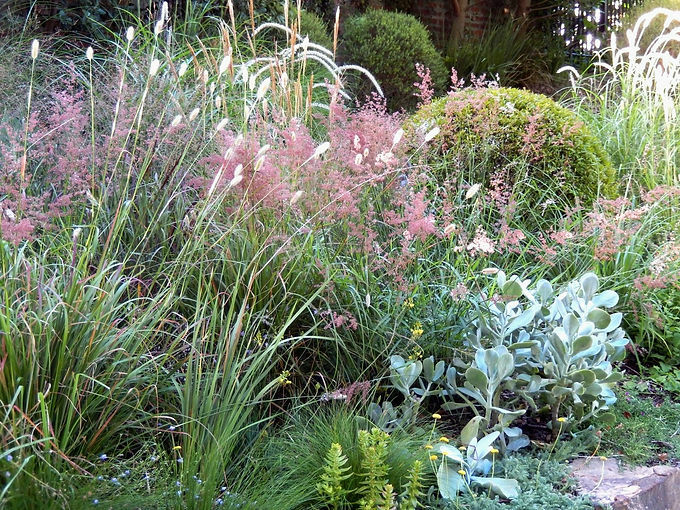 What is a water-wise garden? Is a water-wise garden one that is watered once a week, or once a month during the dry season? Or not at all? Or since rainfall varies widely across the country, should it be a relative measure? There is currently no benchmark in the industry for a ‘water-wise garden.’ It is a vague relative term that implies ‘less than usual.’ Personally, I think this is not good enough! Fourie Petersen suggests water-wise landscaping should be based on a philosophy of sound ‘water management practices’. And ‘management’ requires measurement. Imagine if all landscapers always installed a water meter and rain gauge at each site, and organized weekly data to be collected and submitted to a regional/ national database? If we measure the amount of rain and water applied to landscape, we will have an accurate record and understanding of water-use, and be able to develop a benchmark over time. 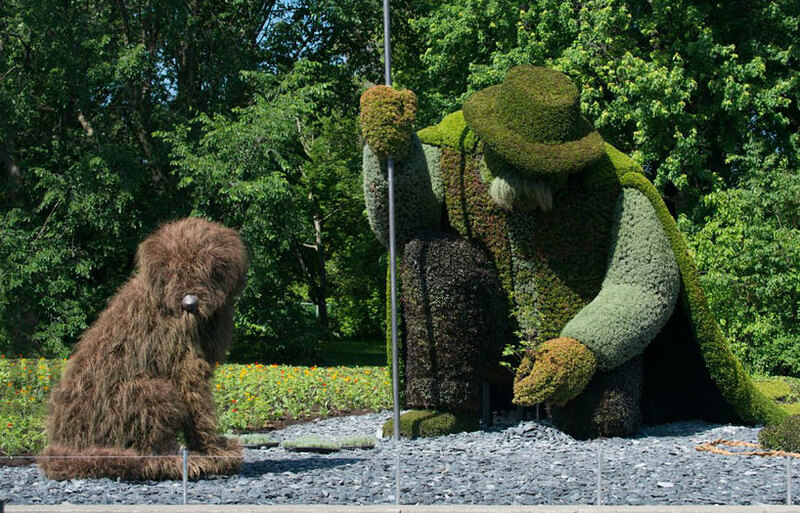 Is it fair to say that water restrictions help to increase general awareness and appreciation for water? I think so. Switching off automated watering systems has brought us closer to our gardens: we are now tuning into plants and their needs and having to make tough decisions which ones are going to receive the grey water. My pots have never looked better since I’ve put a plastic basin in the kitchen sink for rinse water – it provides a few liters several times a day. In the days when I still had a bath with my young son, and it took me ten full buckets to empty it, I realized that even a shallow bath used a hundred liters. Needless to say, we have been showering since! Looking at the above, it would suggest the value of storage tanks is questionable in the Cape. However, it is predicted that as a consequence of climate change, rainfall will be more erratic and less sharply seasonal. This summer in Cape Town seems to be a case in point: we received a big rainfall event in December and another downpour a month later – very unusual for January. 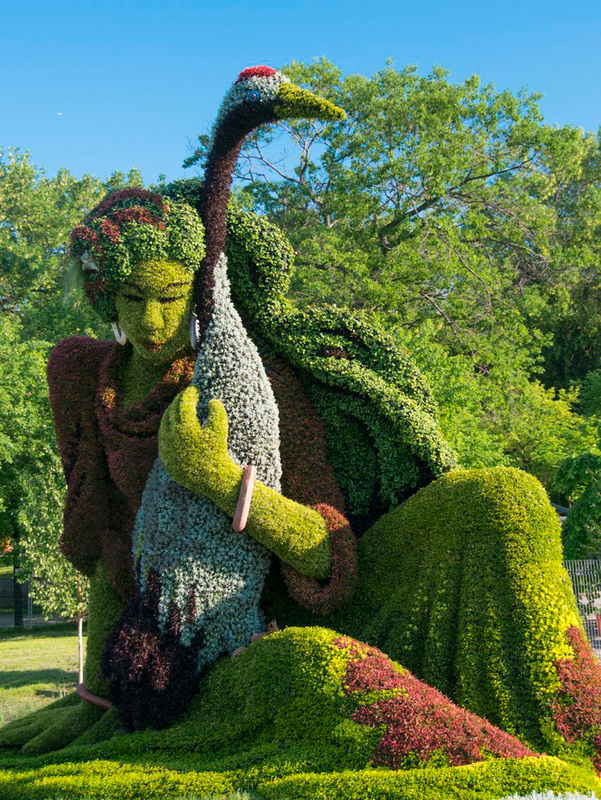 If gardens were properly zoned into water-use zones, a full tank could last much longer, when used judiciously for selected high and medium water-use areas. Watering will make the difference between Scadoxusflowering, for example, or barely surviving during a long dry summer. Storing rain water has another less tangible benefit: it brings us closer to the weather and rainfall and increases our appreciation of water. Recently I visited my friends who had put a 200-liter plastic drum under a gutter in their courtyard. It seemed so insignificant compared to the 2 x 5000-liter storage tanks they already had, but Pat pointed out it was enough to make 200 liters of foliar feed for his veggies. He requires unchlorinated water to make activated worm compost tea, so the rainwater is valuable. 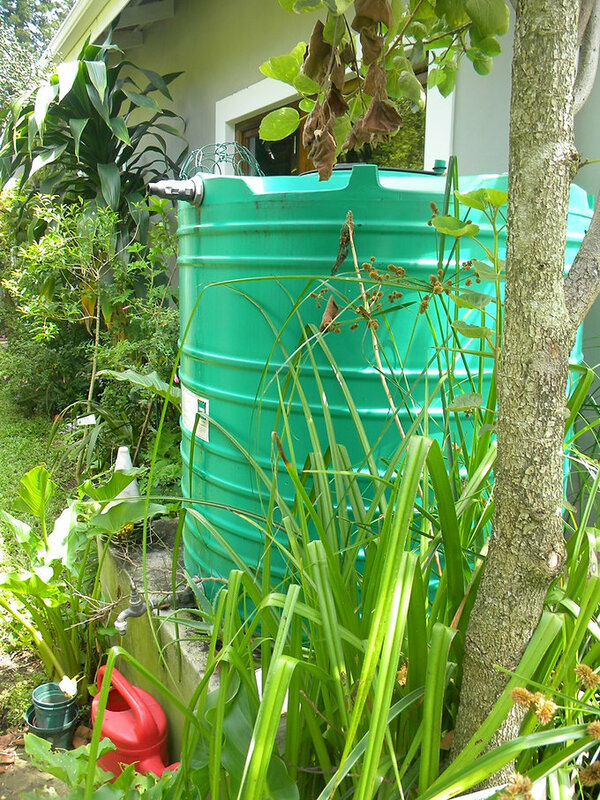 This experience has shifted the way I think: even small water storage tanks are worthwhile. ‘Run-off water is water that washes off the surface without soaking into the ground. It may cause erosion and is unavailable to plants. Gravitational water is the water that soaks in and drains away into the subsoil – not available to plants. Capillary water is the water that remains ‘stuck’ in the smaller pore spaces of the soil – this is the water which is available to plants.’ This water which surrounds the soil particles is what root hairs and mycorrhizal threads (mycelia) can absorb. It is worth noting that the free capillary water keeps moving up, towards the surface, as water evaporates into the atmosphere. It is as if water is constantly sucked up through the soil. This is why a thick layer of mulch really helps because it cools the soil and slows down the upward movement of soil water and loss to the atmosphere. Hodges explains that ‘as soil dries out, the moisture films around soil particles become thinner and at a certain point the root hairs cannot ‘extract’ the water, because of strong attractive forces holding the water to the soil particle.’ At this point – called permanent wilting point – the plant goes into water deficit. 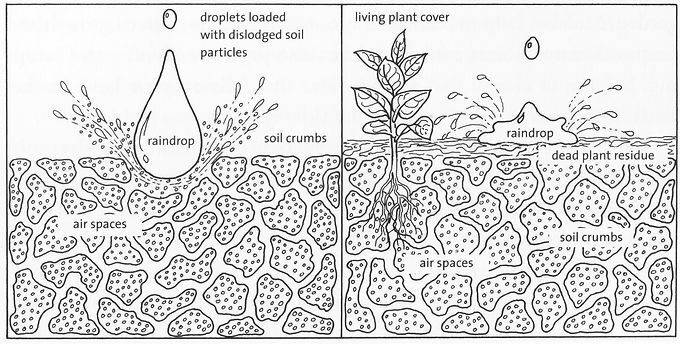 Above: Sketch from ‘The Water-wise Garden’ by Jeffrey Hodges Raindrops that fall on bare soil damages its structure. Covered soil remains undisturbed and the water soaks in where it falls. This is very sad is it now: The decline of Europe? Last year inm id-July we took an epic European trip, from Cape Town we flew via Dubai and we visited relatives in the suburbs of Lyon, shopped for Spanish shoes one day in the main centre and visited their weekend farmhouse in the French countryside, went with them to walk in thee Cinque Terre, visited Venice for the Architectural Bienniale, then off to Athens and by bus down to the Ionian islands to spend two weeks on a yacht with a friend and visit the small costal towns. In all of these places the sad decline of the once vibrant countryside and towns was mirrored by the tourist dominated local commerce, big shopping at Carrefour and every big name brand in the giant tourist mall that is Venice now. Keep walking, and you’ll find more vacant storefronts, scattered around the old center of this town dominated by its imposing 13th-century brick cathedral, one of France’s undisputed treasures. Tourist shops and chain clothing stores are open, but missing are the groceries, cafes and butcher shops that once bustled with life and for centuries defined small-town France. Measuring change, and decay, is not easy in France, where beauty is just around the corner and life can seem unchanged over decades. 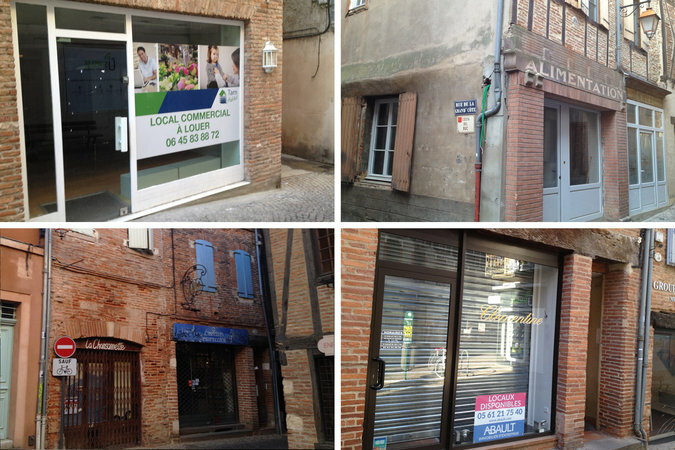 But the decline evident in Albi is replicated in hundreds of other places. 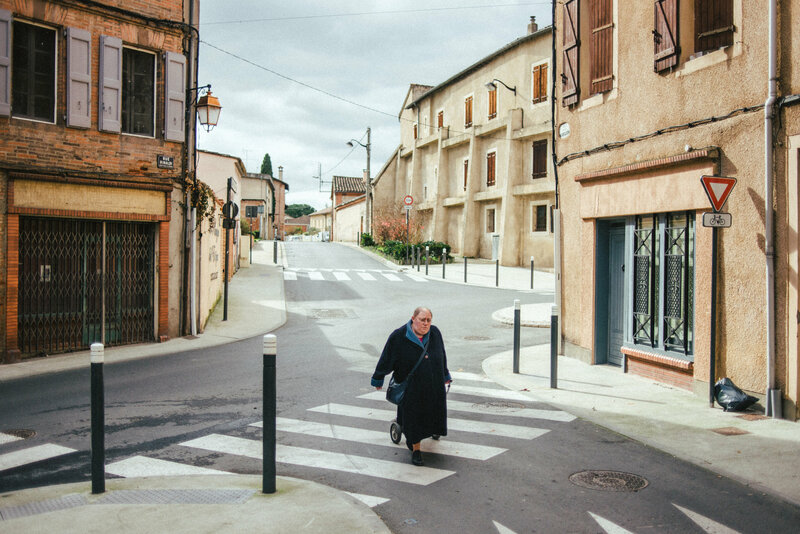 France is losing the core of its historic provincial towns — dense hubs of urbanity deep in the countryside where judges judged, Balzac set his novels, prefects issued edicts and citizens shopped for 50 cheeses. In January, I went to Albi while covering the French presidential election. I’ve known the city for nearly 35 years, visiting a handful of times as part of a lifetime’s engagement with France that began at age 4 when my family moved to Paris. 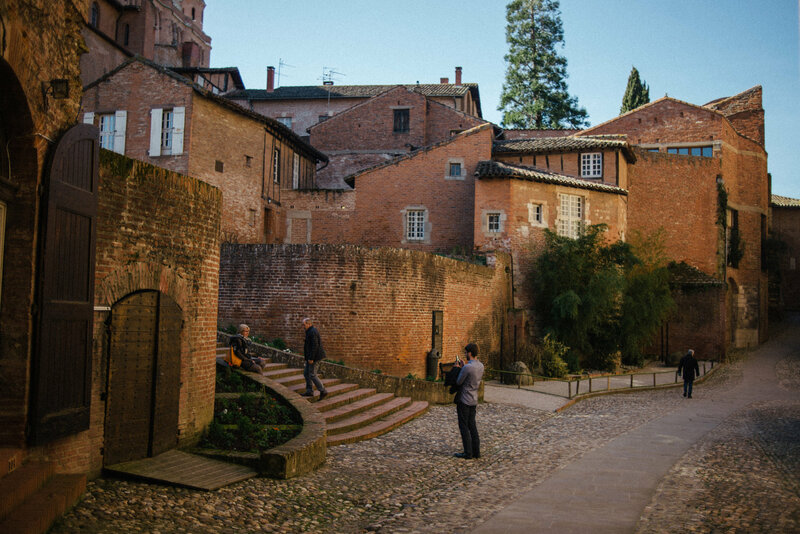 My first trip to Albi came in 1982, with my college girlfriend, and I found a bustling, jewel-like city that took its ochre-red color from bricks that had been used since the Middle Ages and echoed the hot, meridional sun. I was captivated. I returned in January not on the trail of a presidential candidate but to better understand a French paradox just beneath the surface of the campaign: the deep pride felt by the French in what they regard as an unparalleled way of life, always accompanied by anxiety that it is facing extinction. The campaign is like few before it in France, because of the looming question of whether the far-right candidate, Marine Le Pen, will do the once-unthinkable, and win. She has already pushed the discourse rightward and made a visceral promise to voters: to protect not just France, but Frenchness. Whether the menace is defined as Islam, immigration or globalization, her vow to voters is the same: I am the woman to preserve the French way of life. The visible decline of so many historic city centers is intertwined with these anxieties. Losing the ancient French provincial capital is another blow to Frenchness — tangible evidence of a disappearing way of life that resonates in France in the same way that the hollowing out of main streets did in the United States decades ago. A survey of French towns found that commercial vacancies have almost doubled to 10.4 percent in the past 15 years. As these towns have declined, voters have often turned sharply rightward. Albi is traditionally centrist, but the same conditions of decline and political anxiety are present, too. 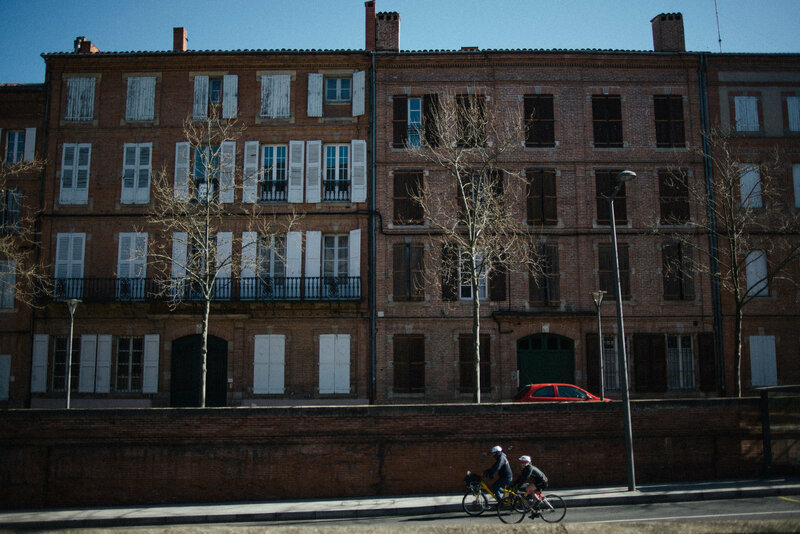 Turn a corner in Albi, and you’ll pass the last school inside the historic center, abandoned a few years ago. Down another street is the last toy store, now closed, and around a corner is the last independent grocery store, also shuttered. Walk down the empty, narrow streets on some nights and the silence is so complete that you can hear your footsteps on the stones. I arrived in Albi, population 49,000, on a Thursday evening, having driven in from Toulouse, an hour away. At the edge of town, I passed a giant shopping center, Les Portes d’Albi, where the parking lot was black with cars. In the Albi I had known before, people had lived in town above their stores. Centuries of accumulated living were packed inside the tree-shaded boulevards. Shopping was as much about sociability as about buying. Before arriving, I picked up a government report, an autopsy of many French provincial capitals: Agen, Limoges, Bourges, Arras, Beziers, Auxerre, Vichy, Calais and others. In these old towns, many harder hit than Albi, the interplay of the human-scale architecture, weathered stone and brick, and public life had been one of the crucibles of French history and culture for centuries. Now they were endangered, as even the dry language of the report conveyed that an essential part of French life is disappearing. My first appointment was with the town whistle-blower, who had agreed to give me a tour. 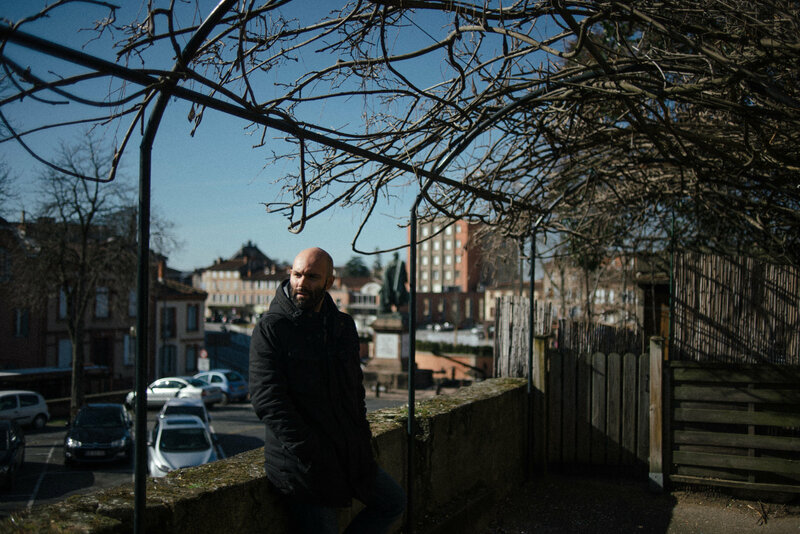 Florian Jourdain wasn’t exposing local corruption but the decline of the town that was hidden in plain sight. His meticulous blog, picked up by the French press, caused such resentment among Albi’s commercial establishment that last year the merchants’ association staged a demonstration against him in the main square. With a degree in history and studies in geography, Mr. Jourdain published an online map, with a skull-and-crossbones marking each vacant store. He discovered that nearly 40 percent of the remaining shops sold clothes, and he suspected that much of the trade was with tourists. Only a single traditional boulangerie, or bakery, remained in Albi’s old core, and not a single free-standing butcher shop. A Parisian by origin, Mr. Jourdain worked quasi-undercover, and few in town, even among his allies, seemed to know his last name. I met him on a Friday morning in the windswept plaza of the looming Cathédrale Sainte-Cécile, a giant brick fortress built eight centuries ago to awe the region’s restive heretics. As we started on the Rue Mariès, the city’s main commercial street, Mr. Jourdain pulled his hood down over his head to avoid being recognized, as I struggled to mentally repopulate the empty street with the liveliness that had delighted me 35 years before. Street after street, we took the measure of the town’s fragility. Name tags were missing from buzzers at the doorways of the old buildings. Above them the shutters stayed closed night and day, with estimates that 15 percent of these old houses are vacant. We came to the Place Lapérouse, named after the great French explorer who was born in Albi in the 18th century. I had a flashback. 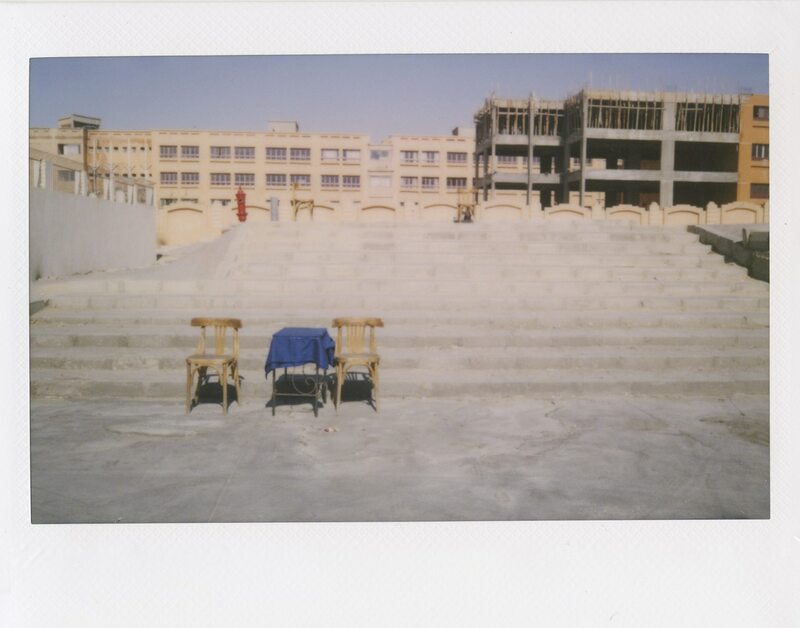 On a warm afternoon many years before, I sat on a bench here, gazing at the old buildings around me. It had been quiet enough to hear the birds in the centenarian plane trees shading the square. Now, it was a frigid intersection combined with a soulless pedestrian plaza. Cars whizzed past. We moved on, passing two storefronts with “total liquidation” written across them. The sense I had many years before, of a dense urban space that was a living, breathing organism, was gone. “Look, here, this used to be a cafe,” he said, pointing to a woman’s clothing store where the faint remains of a traditional cafe awning were still visible. Mr. Jourdain spoke with the fervor of a disappointed suitor. He had moved to Albi to embrace its beauty and to escape the clamor of Paris but instead found a creeping listlessness. He saw his role as waking up his fellow citizens. “The risk is great for our beautiful episcopal city,” he wrote in his blog. We moved on to the empty Rue de la Croix Blanche. Again, we were the only walkers, passing a line of closed stores. On the Rue Puech Bérenguier we passed the last grocery store. On the Rue Peyrolière we saw the abandoned elementary school, closed in 2013, a classic Third Republic building where generations of Albigeois were educated. On the wall inside, a children’s drawing from the last class was still visible. “The cries of children will resound no longer,” the local paper, La Dépêche du Midi, wrote when the school closed. In former days, the covered market, the Marché Couvert, would have been a hub of life and commerce. No more. “You feel as though time has been suspended,” Mr. Jourdain said. The next morning was a Saturday, the busiest shopping day of the week, with shops promising sales and customers inside the clothing stores. There was a hint of the liveliness I had remembered from many years before, but these were weekend shoppers, many from out of town. I went to see Fabien Lacoste, a Socialist city councilman, in the shadow of the cathedral. As on most Saturdays, he was at work, flipping crepes at his outdoor food stand. To him, Albi’s fate was a cultural misfortune. City leaders had poured money into a high-concept modernistic new culture center at the town’s edge. And the shopping mall had been built. 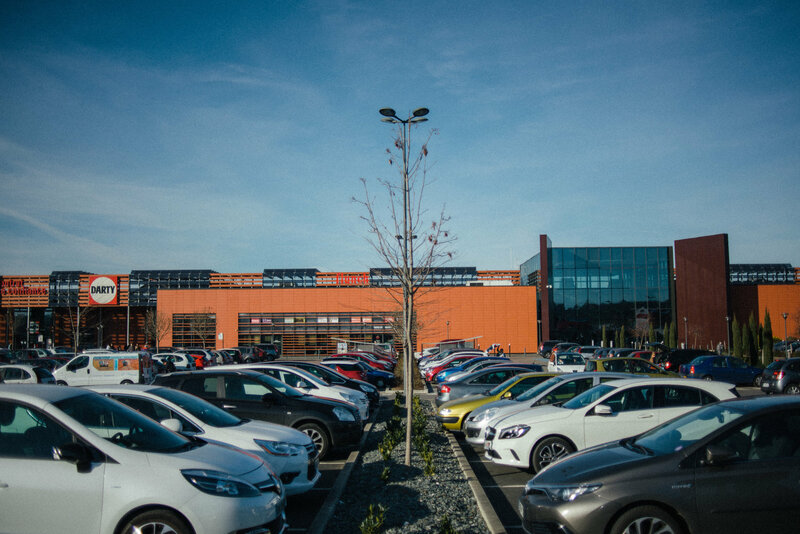 Large grocery chains, called hypermarkets, had also been constructed outside the city, with free parking. It is not that Albi no longer had commerce, or activity. But the essence of the ancient city was being lost. The rise of the shopping centers traced the sharp rise in living standards brought on by what the French call the Trentes Glorieuses, the 30 glorious years from 1945 to 1975. Growth was around 4 percent; purchasing power of the average worker’s salary rose 170 percent. The boost to consumer demand could not be met by the old center-city structure of small shops, small purchases. Malls and strip centers were born. Today, France has the highest density of such retail space in all of Europe, even as vacancies in 190 historic town centers have gone to 10.4 percent in 2015 from 6.1 percent in 2001, according to the government report. Thus, the French paradox: a newly consumerist society that had stripped France of its “soul” — made even worse, now, by the fact that economic growth has collapsed. By Sunday, Albi had reverted to its weekday torpor. I went for my evening run along the green Tarn river and passed a half-dozen people at most. In the twilight the town felt abandoned. I finally caught up with the head of the merchants’ association just as he was leaving his supermarket. He did not seem pleased to see me and was even less pleased with Mr. Jourdain. “There are town centers where the situation is much more complicated,” he said. The big shopping center opened in 2009, and his business declined until the end, when he was losing 50,000 euros (about $53,000) a year. It is the 1970s in Hong Kong, and you are eleven years old. Early one evening, you go out to a nearby neighborhood for dinner with your family. A five-minute walk from your primary school, it is also a place you frequent with your friends. The food here is good and especially renowned for its fishball noodle soup, which is what you always get. You’ve been here so often that navigating the subterranean corridors to the noodle stand is easy, and you know where to step to avoid the ceilings that drip the most. Your bowl of noodles arrives and you slurp them down, unaware of the fact that over the next couple of years this very neighborhood will peak in its population and its infamy, and remain even decades later as one of the most remarkable social anomalies in recent history. 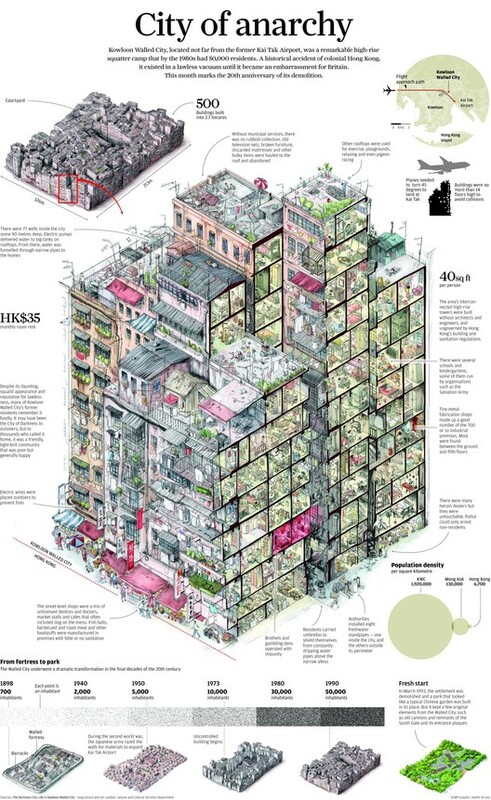 At its peak, the Kowloon Walled City was home to 33,000 people in just two hectares of land—the size of about two rugby fields—making it the densest place on Earth at the time. It was a hastily put together conglomerate of tiny apartments, one on top of the other, caged balconies slapped onto the sides and connected through a labyrinth of damp, dark corridors. All the while, the rest of Hong Kongwent about as normal, seemingly unaffected by the crime and squalor within the Walled City. 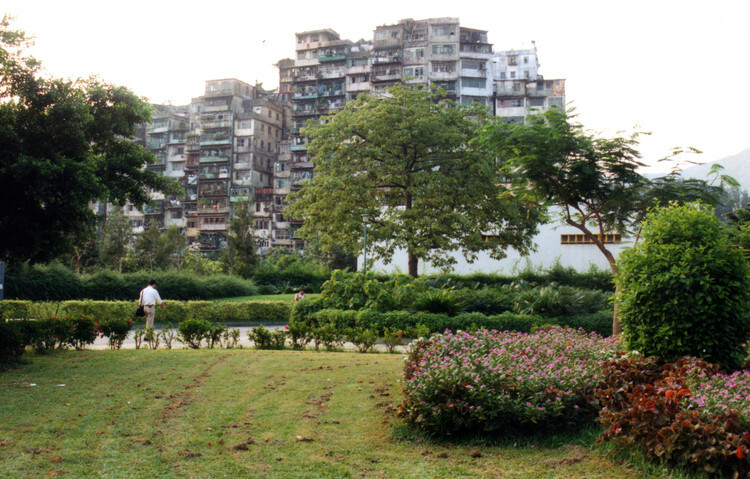 This unique society and its complete neglect by the rest of Hong Kong was born of the equally unique political conditions of the Kowloon site. Initially a Chinese outpost for the salt trade during the Song Dynasty (960AD–1279), it was later turned into a military outpost with an added coastal fort in the 1800s. When China lost to the British in the first Opium War, Hong Kong was ceded and officially handed over in 1842. However, the Kowloon site was an exception, with the British allowing the Chinese to stay at the site as long as they did not politically interfere. China went on to fully reclaim the ownership of the Kowloon site in 1947, but its separation from the mainland meant they did little to enforce laws, while Britain also went with a “hands-off” policy. 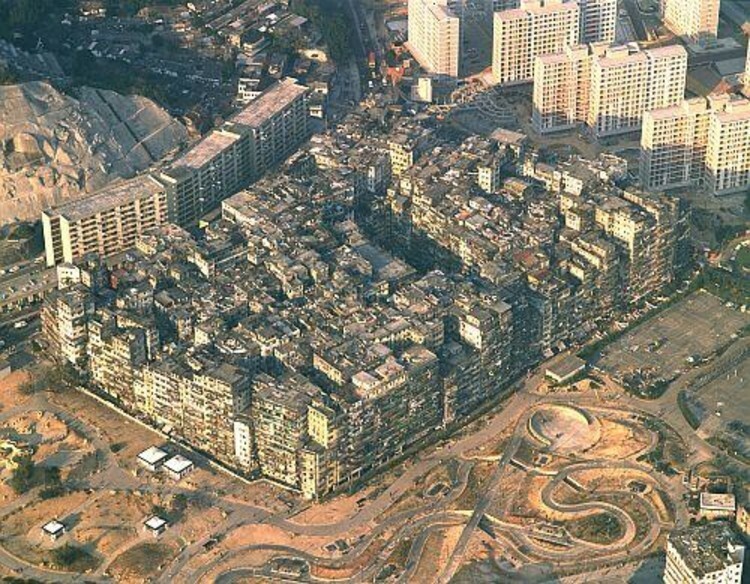 Free from both sides of the law, squatters soon flooded in, and so began the legend of the Kowloon Walled City. By 1950 the population had grown to 17,000. People moved to the Walled City out of bankruptcy, lack of choice, and to either flee or exploit the lack of law. Construction proliferated alongside population, a truly modern vernacular free from any building regulation or code. Within the darkness of the Walled City, crime, unregulated businesses (everything from opium dens and brothels to plastic bags and spring rolls) and family life went on day after day. It wasn’t until 1984 that both governments decided the Walled City had become enough of a backwards embarrassment and eyesore that they had to tear it down. In 1992, residents were evicted and given monetary compensation, and the site was converted into a public commemorative park. Compare this to the way in which my dad talks about the city—a smirk broke across his face as soon as the name was mentioned, and I was surprised to learn that his primary school was just next door from this “crazy” mass of drugs, gangs and crime. In fact, most of our conversation focused on the food that you could find there. He describes the place as “very special,” both as the only place in Hong Kong that went unaffected by British rule and as a unique community in itself. He went on to describe the physical environment of the place, with an energy that I have only otherwise seen during one of his jam-making frenzies. Smiling, he recalled the constant dripping of water leaks everywhere and the surreal disappearance of the sky once you entered. He also went on about the many unregulated businesses there, with special mention to the many unlicensed dentists that could operate liability-free, and also the dog meat stalls, which found success while canine cuisine was illegal in the rest of Hong Kong. He admits that he knew of people being mugged and that people generally avoided the place after dark, but otherwise my dad complimented the Triads on their organization of the Walled City. Acting as a de facto city council (albeit one funded by drugs and enforced through violence), the Triads organized a volunteer fire brigade and rubbish disposal, and resolved civil conflicts, particularly those between competing businesses. The way my dad speaks of the Walled City, with something approaching pride, gives a very different impression to its popular depiction—it is much easier to tell a story of depraved lifestyles in a dark maze of inhumane living conditions. This isn’t to say that this wasn’t the case, but rather that this wasn’t the only story that the Walled City had to tell. A documentary on the Walled City chronicled this complexity firsthand. Filmed by an Austrian with English subtitles, the 1980s film gives an intimate look at life in the Walled City. We meet a breeder of illegal racing pigeons (an alternative to betting on horses), a kindergarten, and even a Triad-funded pensioner. All these stories, however, are set against a dark, dim architectural backdrop. It is a strange experience—harrowing English subtitles that compare the people to “the dead rats nobody takes umbrage at,” but their attempt at shock-horror is heckled by the background Cantonese, with children wittily mocking the camera crew. This, perhaps, best represents Hong Kong—scary from the outside, but energetic normality within. While it would be false to say that the documentary makers were exaggerating the extent of the squalid conditions, poverty and cramped spaces, these qualities are only striking in their intensity—not at all in their absurdity. In fact, the most Louis Theroux-ish thing in the whole documentary is an English missionary who resides in the Walled City, curing heroin addicts through her “spiritual touch.” The rest of the picture is grossly inhumane, yes; but illogical, no. Given the conditions and consequences in which the city was conceived, and its complete neglect, it could have turned out a whole lot worse. 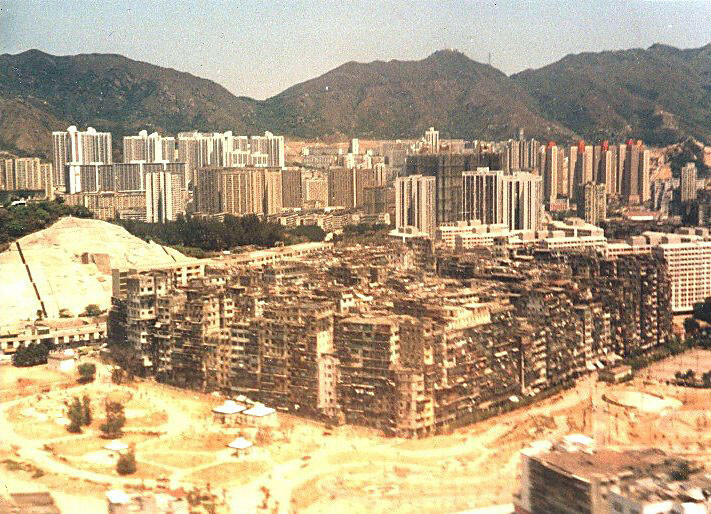 When still under British rule, it is important to remember that the Kowloon Walled City was not the only place of such density in Hong Kong. 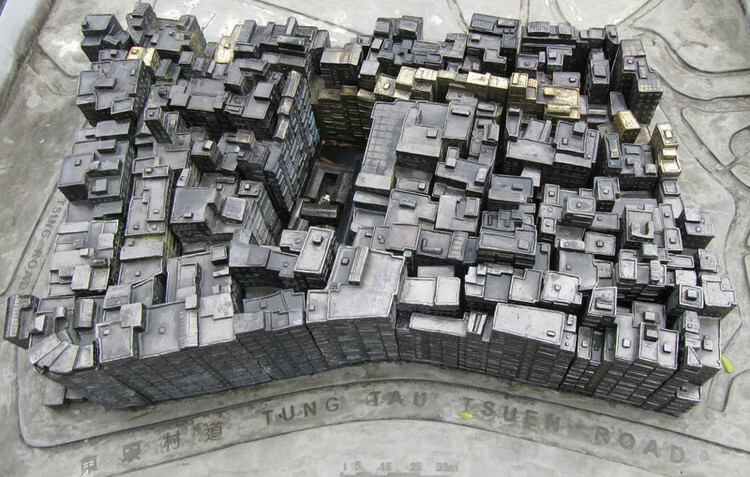 Contemporary to the Walled City were other urban squatter settlements, also ad hoc conglomerations but only of one storey, and roomier with just 4900 people per hectare—about 2 square meters per person. The settlements sprang up from the population boom of the 1950s, when Chinese refugees fled into the city following political turmoil in the mainland. After their family land was taken and relatives killed, both my dad’s mother and my mother’s mother were such refugees, and they both experienced some time in informal settlements upon arriving in Hong Kong. They were both lucky, however, and were soon able to settle into more comfortable and stable conditions, helped by the government’s public housing schemes. 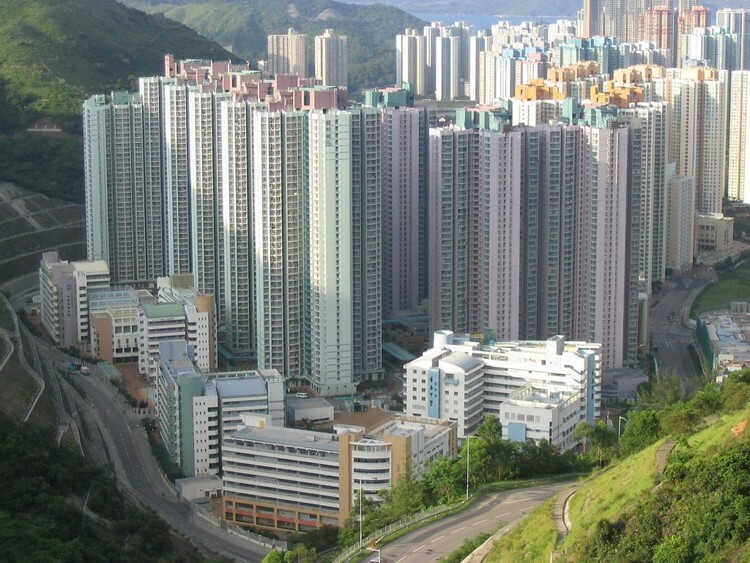 With this ancestry, and my own upbringing as a Hong Kong-born New Zealand citizen, it irks me to see the persistent fascination with the current density, of housing in particular, in Hong Kong. While physically long gone, the shadow of the Walled City and its colonial conception remains. The multiple photography series, gawk-tourism, and critique of the city’s never-ending apartment towers has not-so-distant roots to the outsider curiosity that drew British colonials to the Walled City as a tourist attraction in its early days. My grandmother has, from her arrival into Hong Kong to the current day, lived in public housing. These towers are the most ubiquitous building form in Hong Kong, largely identical and replicated over and over across the city, often painted in pastel for both differentiation and a “happy” aesthetic. There are over 680,000 apartments across 160 public housing estates, with 15,000 more apartments built each year. Just as with the Walled City, there is rarely any mention of the lives within the towering walls nor the delicious bowls of noodles. Photos of these seemingly endless modules disregard and crop out any sense of thought behind the buildings, ignoring what have in fact been decades of design evolution and an increasing quality of public housing. The average living space has changed greatly over the years, and current legislation makes site-specific considerations, sustainable implementations, thoughtful interior and master planning mandatory. 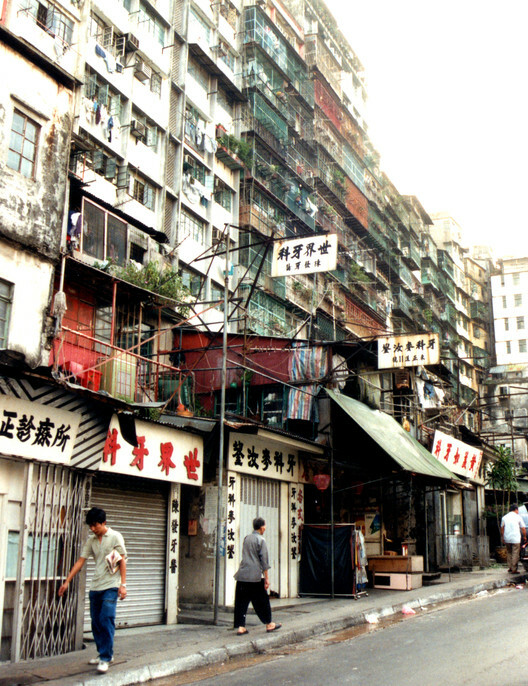 The Kowloon Walled City’s lack of prominence in Hong Kong itself is not due to political embarrassment, but because it is culturally unremarkable. 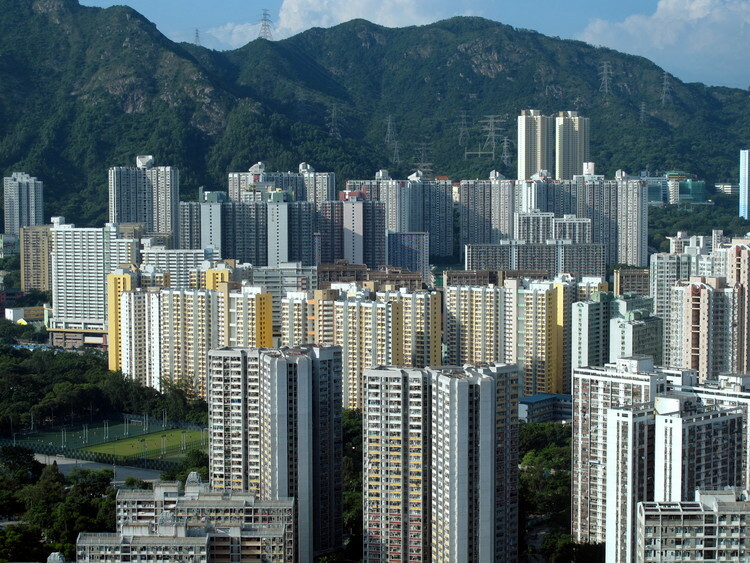 Today, problems often associated with density, such as crime and sickness, are not notably prevalent in Hong Kong. In fact, crime rates are low on an international scale, and the city has the world’s fourth-lowest rate of infant mortality and also fourth-highest life expectancy. Intimidating and eerie from the outside, dedicated public housing allows even Hong Kong’s elderly to stay self-sufficient. 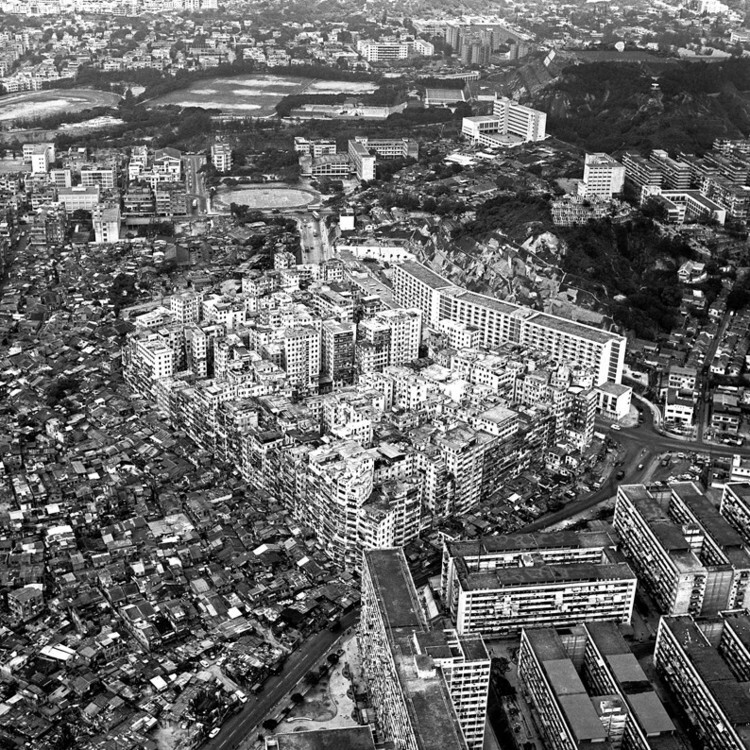 Density will always be a fact of life in Hong Kong, manifested to its extreme in the Walled City and resolved in public housing today. The city’s cultural apathy toward density sees it excel in other forms—but in the shadow of the Walled City, those without access to public housing still face squalor. The quarters given to the populous domestic maids really are too small, and immigrant housing is an increasing concern, with people renting out taped-off sections of rooftops for residency. If the energy of young designers in both Hong Kong and abroad were focused less on criticizing places that are actually doing fine, there are real urban and social problems in Hong Kong that are currently, like the Walled City once was, being neglected. 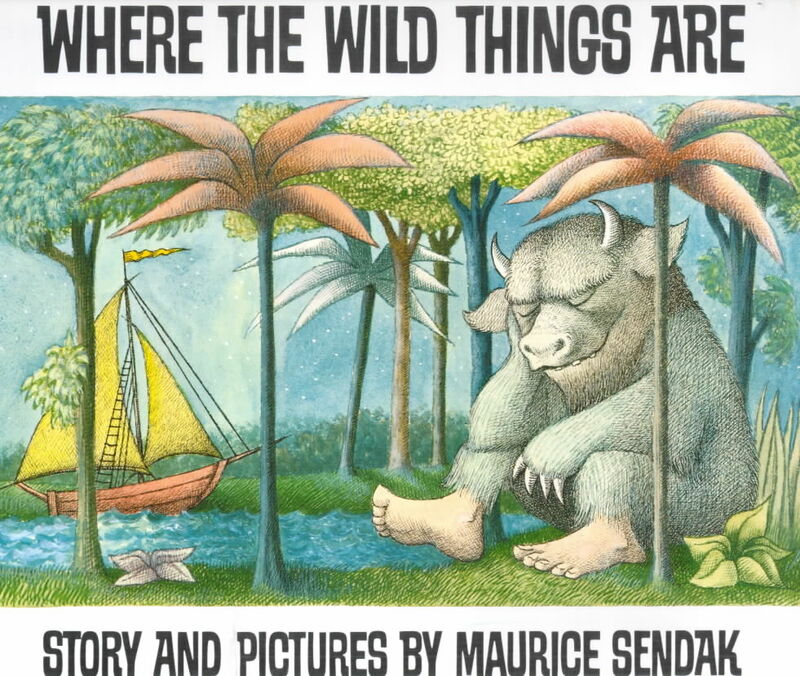 Maurice Sendak, most notably the writer and illustrator of the children’s book Where The Wild Things Are, passed away today. There were many books I loved as a child, Green Eggs and Ham by Dr. Seuss, Madeline by Ludwig Bemelmans, and of course Where The Wild Things Are by Maurice Sendak. 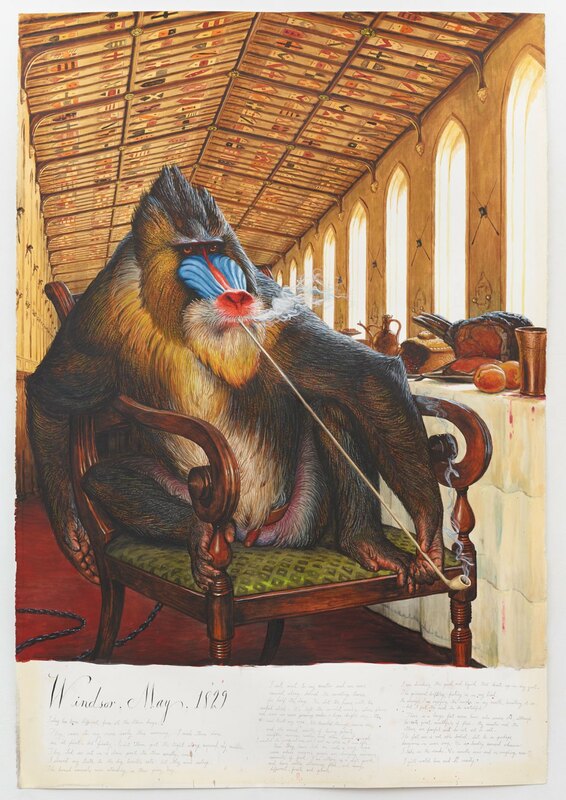 Like the other author’s on my list, Mr. Sendak dared to do something different with his writing. 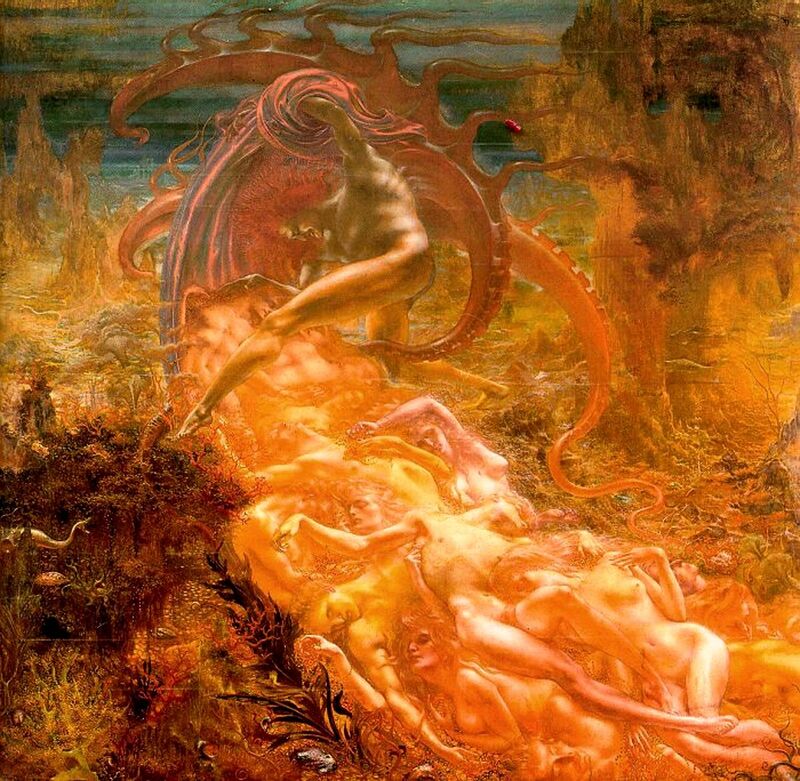 He created a world of imperfect heroes, creepy characters, and dark story-lines. 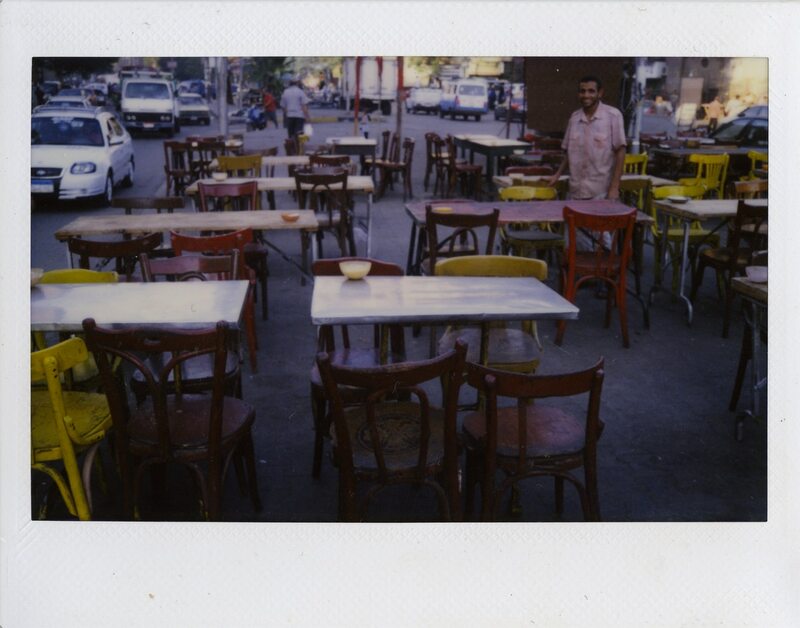 “Sidewalk Salon: 1001 Street Chairs of Cairo is a portrait of the capital of Egypt as seen through the lens of the thousands of curious chairs that dot the sidewalks of Cairo. With a documentary photographic approach, the project seeks to present the creative practices of design that occur on the sidewalks along with the unplanned interventions in the public space that give Cairo its distinctive character. 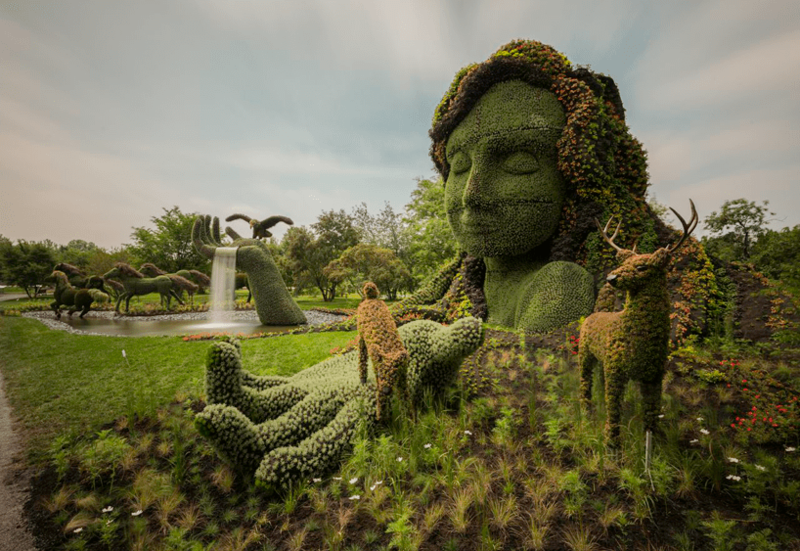 a horticulture competition featuring over 40 living plant sculptures is exhibiting at the montreal botanical gardens in canada. 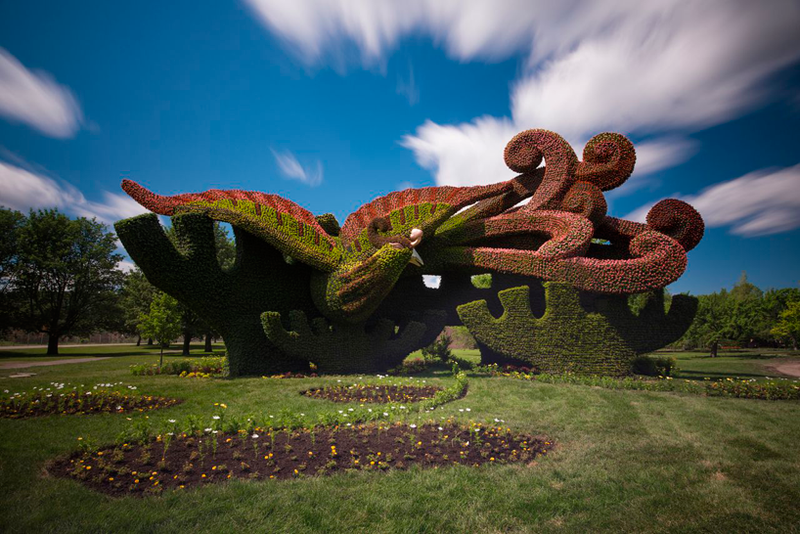 ‘mosaicultures internationales montréal 2013’ displays two and three dimensional constructions, cultivated by 200 international horticultural artists originating from more than 20 countries, making it the largest eco-responsible event to come to quebec. 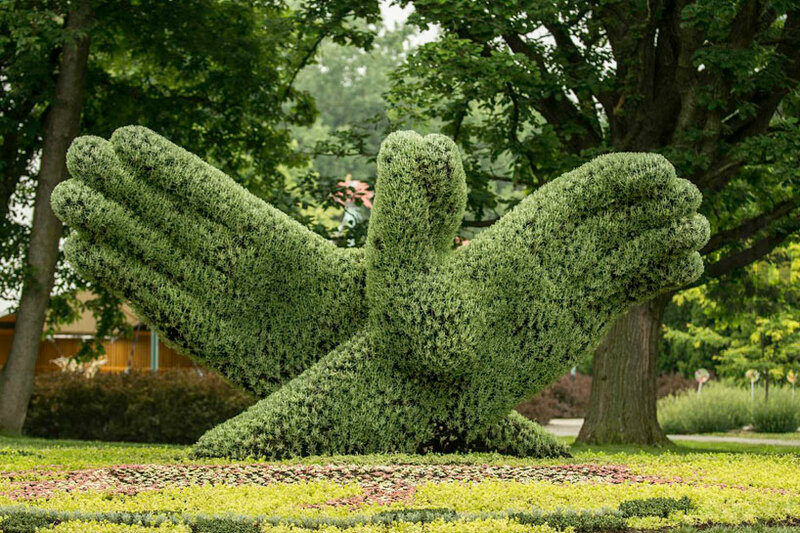 mosaiculture is a multifaceted discipline, drawing on a range of craftsmanship and knowledge — sculpture for the framework, painting for chroma, and ecology, for the understanding of the maintenance of the floral medium. this year’s event challenged the artists around the theme ‘land of hope’ as it reflects their own culture, drawing influences from icons of peace and promise for a environmentally sound world. 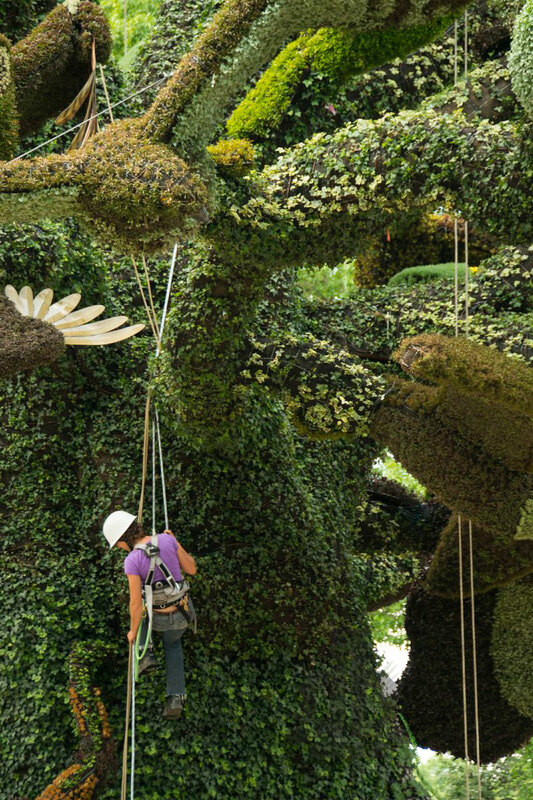 collectively, over three million colorful flowers and plants were used in the environmental designs, creating a colossal body of living vibrant art.